Those who practice nonviolence cannot close their eyes to injustice or cruelty. We are here to be a witness for justice and compassion. Those who practice nonviolence look at injustice or cruelty and know that it is possible for the situation to be different. You can stand up for truth by your presence, your words and your actions, and by doing so, make a difference. Starting today, I will no longer deny or turn my back on injustice, inequity, intolerance, or cruelty of any kind. There is no going back. Those who practice nonviolence look at injustice or cruelty and think, it is possible for this situation to be different. When you see injustice, what can you say or do to bring about a peaceful change? 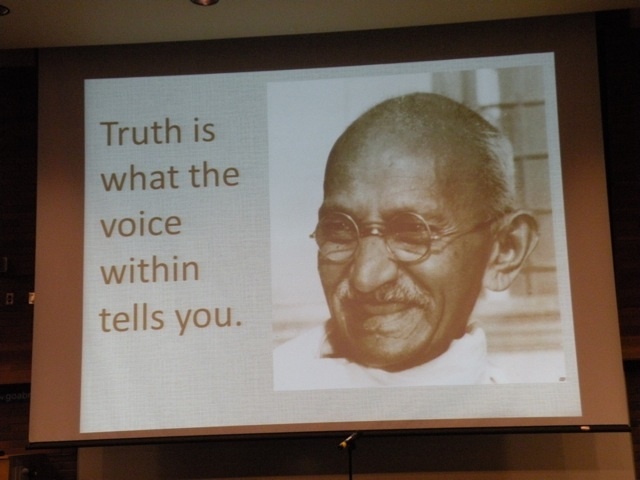 Practitioners of nonviolence are motivated to act when they witness injustice. The question becomes, what can you do to bring about a peaceful change? How can you stand up for peace in your life? When you see someone doing something wrong you have some choices. One choice is to tell a trusted adult what you have witnessed. Inspirational Video: "Bystander Revolution: What Can One Person Do To Help"